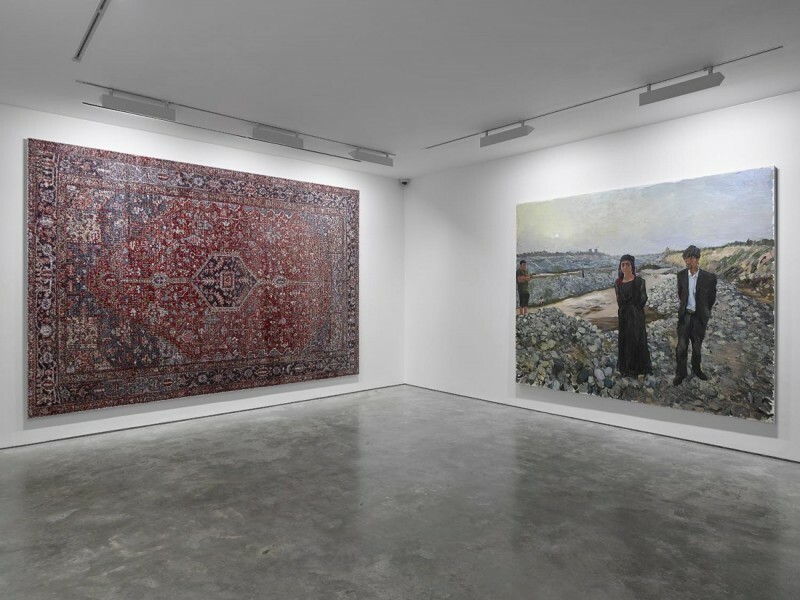 left: Rashid Rana, Red Carpet 5, c-print + diasec, 436.8 x 294cm, 2008-12 edition 1 of 5, right: Liu Xiaodong, West, oil on canvas, 300 x 250cm, 2012. Cross Section of a Revolution, installation view, 2015. © the artists, Courtesy Lisson Gallery. 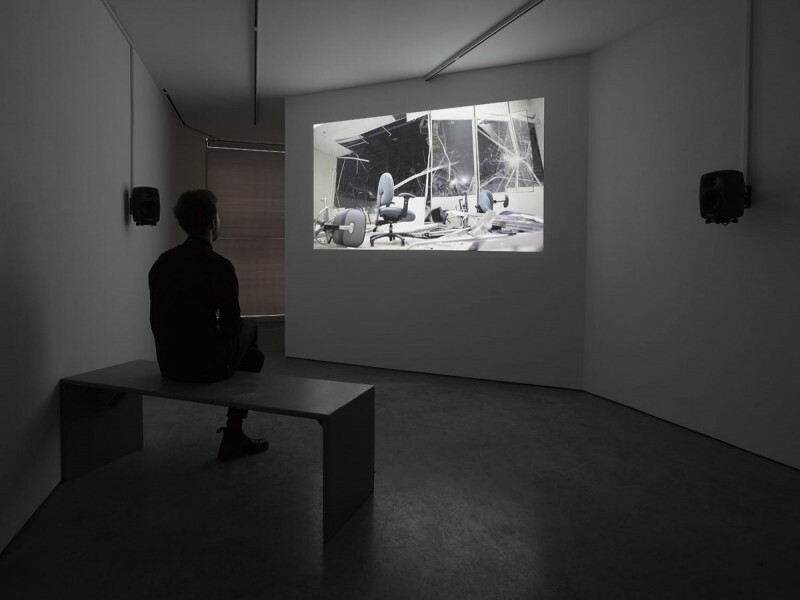 Allora & Calzadilla, The Bell, the Digger, and the Tropical Pharmacy, HD video on DVD, 20 minutes 39 seconds, 2014. Cross Section of a Revolution, installation view, 2015. © the artists, Courtesy Lisson Gallery. 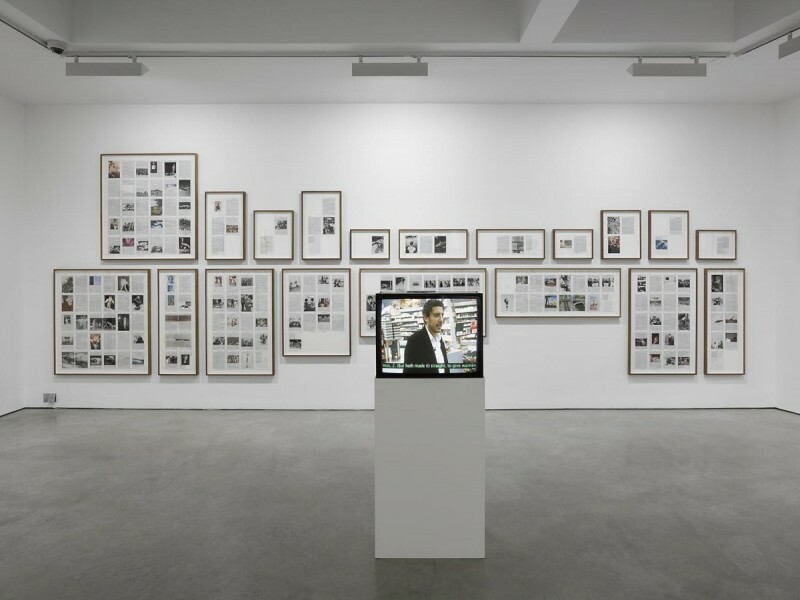 With a bit of a change of tone in relation to the last few weeks, today I want to recommend you take a trip to the Lisson Gallery to see the group show which opened at the end of January and continues into March. Cross Section of a Revolution includes work by seven artists, or artist pairs, whose work is brought together through examination of trauma, trade, religious belief systems or disputed territories. Perspectives from Central Asia, Pakistan, Kenya as well as Europe and the US, combine to present alternately bleak and more positive views of humanity both now and in the recent past. Wael Shawky’s The Cave (Amsterdam), 2005, features the artist walking the aisles of supermarkets in Hamburg and Amsterdam, reciting the 18th sura of the Koran in Arabic. Borrowing the familiar style of the roving live news cast, Shawky reads the legend of the Martyrs of Ephesus. 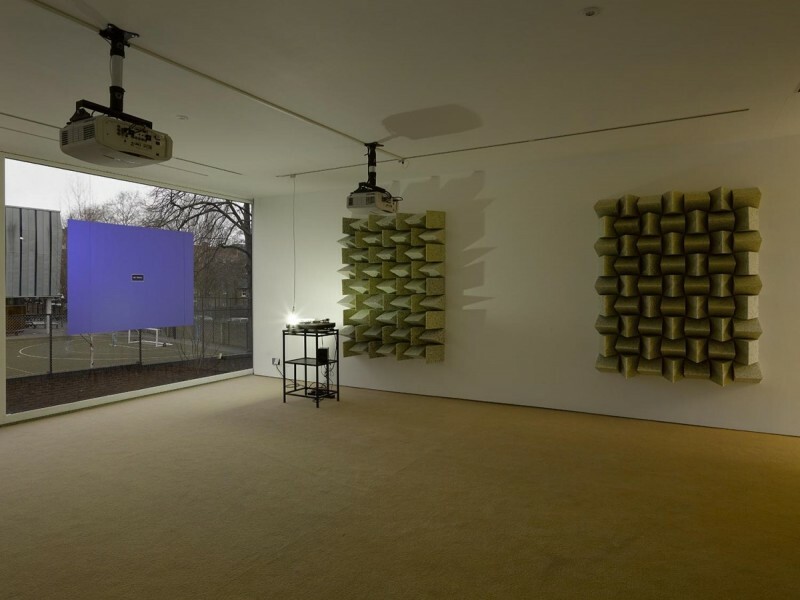 While Shawky is creating this collision of religion and capitalism, upstairs Haroon Mirza’s work – which gives the exhibition its title – juxtaposes two films, associating cultural tradition with political movements. The first video shows Kenyan men drumming music traditionally part of wedding ritual, whilst the second, found and appropriated from YouTube, is footage of a student in a speech competition in Lahore, delivering a speech in Urdu. The installation includes electronic sound that gives an enveloping sense of anxiety to the work as a whole. Downstairs Liu Xiaodong’s monumental painting West, 2012, depicts Muslim workers in China’s Xinjiang province working in the notorious open cast mines for rare jade deposits to feed the demand from the ruling Han Chinese, neatly distilling the ethnic and social tensions of the region. And in the large back room downstairs is an opportunity to see all 57 panels of Broomberg & Chanarin’s Divine Violence, 2013-14. This equally monumental work overlays reproductions of pages of the King James Bible with images drawn from the Archive of Modern Conflict. The tiny photographs draw the viewer close in order to deliver their shocks, with images of 20th century conflicts as well as civilian crimes and disasters. This is not comfortable viewing, but powerful and necessary, and importantly fulfilling that function of art to process and refract the world we are living in.